The San Bernardino terrorist's iPhone that the Department of Justice (DoJ) and the Federal Bureau of Investigation (FBI) said was critical in their investigation has absolutely nothing useful on it, at least so far. Yes, the same iPhone that was subject of so much attention from the past few months. The DoJ and Apple were engaged in a legal battle over a court order that was forcing Apple to help the FBI access data on a locked iPhone tied to Syed Farook. Farook was one of two terrorists involved in the San Bernardino shooting incident last year that left 14 people dead. The FBI desperately wanted access to that locked iPhone, not because it was expecting any case-breaking evidence on Farook's work-issued iPhone, but it was just trying to gather all available information, leaving no stone unturned. When Apple refused to comply with the court order, the FBI found an alternate hacking method and successfully hacked Farook's iPhone, dropping the lawsuit against Apple late last month. So in the end, it appears that there was nothing useful or helpful on the iPhone, as everyone expected. 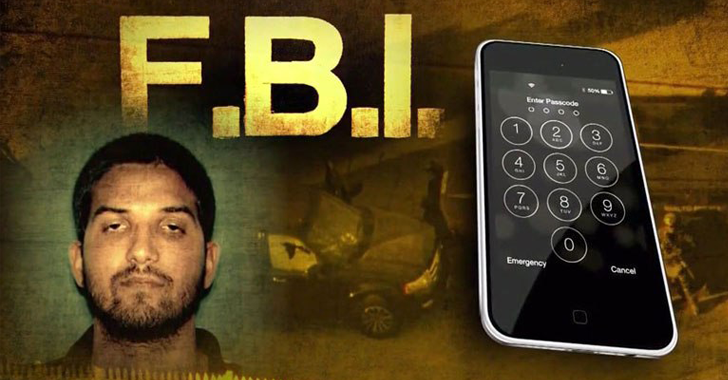 Citing a law enforcement source, CBS News reports that "so far nothing of real significance has been found" on Farook's iPhone and that the agency is still analyzing data from the now-unlocked iPhone 5C. However, it isn't at all surprising, as the iPhone in question was one of three used by Farook and his wife. The FBI previously admitted that both of them had destroyed their personal iPhones that were found crushed and dumped in a trash at his house. The only remaining one was Farook's work phone that was recovered intact, making it highly unlikely of holding anything of real value. If there had been any digital evidence or anything sensitive on it, they would have destroyed it too. Now all these FBI's efforts weren't just a big waste of time, but it might cause the federal agency a big damage as well. In the wake of the court order over unlocking terrorist's iPhone, Apple is reportedly now working on fully encrypt iCloud Backups to make it even harder for law enforcement to access data stored on its servers. The company has even hired Frederic Jacobs: one of the key developers of the World's most secure, open source and encrypted messaging app, Signal. Meanwhile, several major tech companies, including Google, WhatsApp, and Facebook, have sided with Apple in defense of privacy and digital rights. Recently, WhatsApp even announced full end-to-end encryption by default across its app, making itself unable to comply with any court order that demands access to the content of any conversation happens over its service.